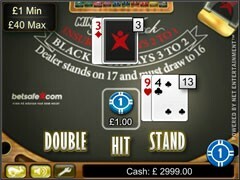 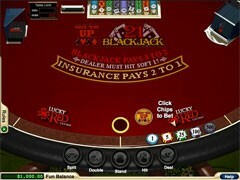 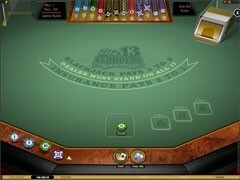 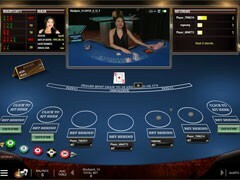 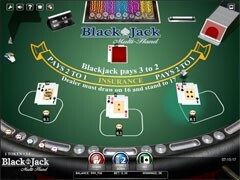 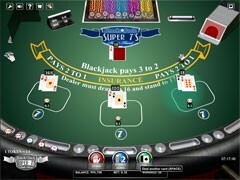 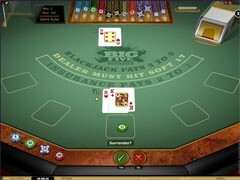 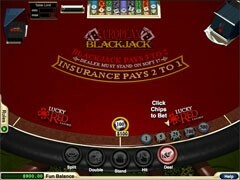 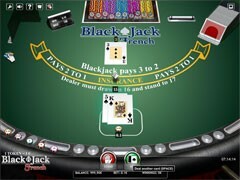 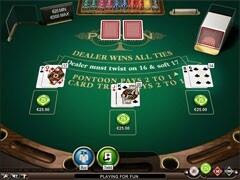 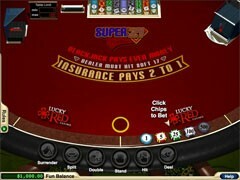 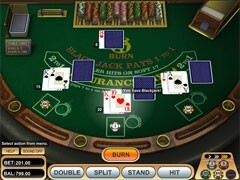 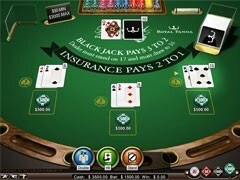 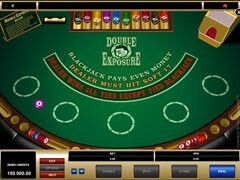 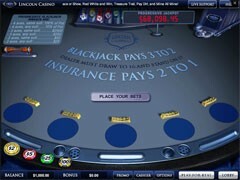 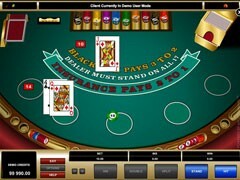 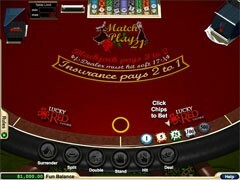 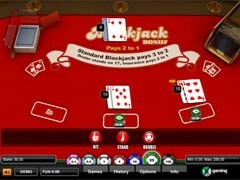 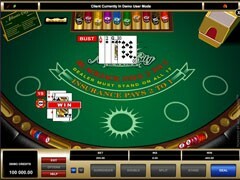 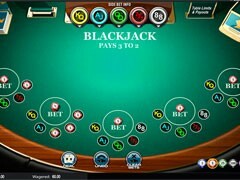 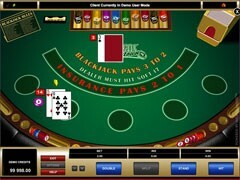 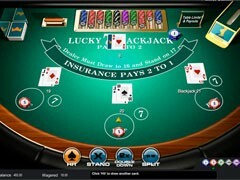 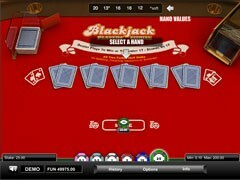 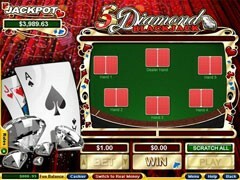 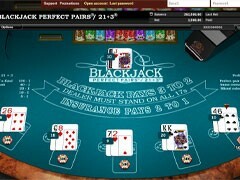 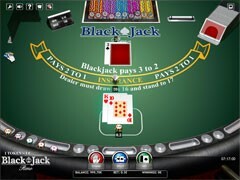 This one-deck blackjack variant released by Microgaming offers three bonuses for certain card combinations in a player’s hand. 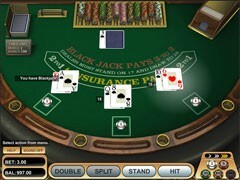 A blackjack wins 2:1 if both cards in the hand are diamonds. 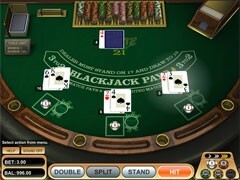 If six cards total 20 points (or less), a player wins automatically. 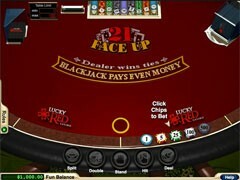 If six cards (or more) total 21, a player wins at 2:1. 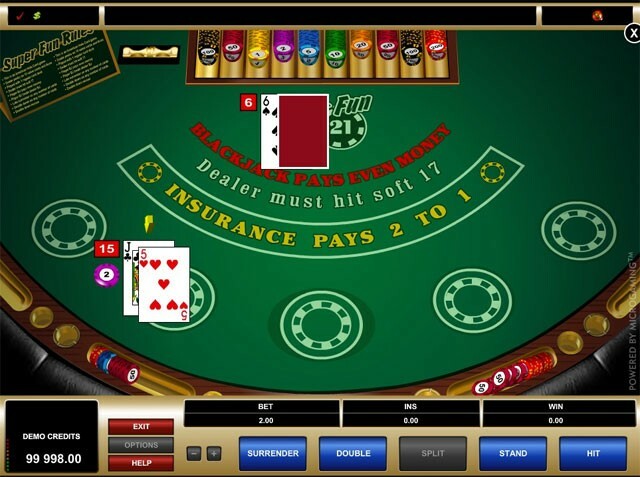 Other rules include splitting of any 10-valued cards up to three times, re-splitting of Aces, insurance (2:1) and late surrender (this allowed even after doubling down). 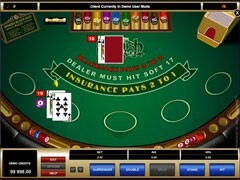 Dealer always hits on soft 17.